Color Planner software has over 2 700 000 Stand-alone installations only in Europe. The software has been the most popular visualization software in Europe since 2008. Color Planner 4 supports your sales in Point-of-sales, your website, Android tablets and Ipad devices. 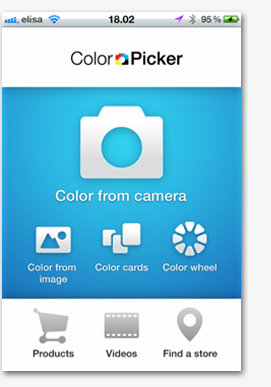 - Color Picker App for iPhones and Android phones. See your results from AppAnnie and Google Analytics. Only one annual price. Ask an offer from our Sales Team. Enhance your color marketing by new Color Picker App for Android and Apple iOS. Pashupati Paints from Nepal ordered Color Planner 4 Stand-alone for point-of-sales. Sherwin-Williams ordered Color Planner 4 Stand-alone for market of Brazil.